McMinnville AVA/downtown/old town McMinnville & surrounding area. McMinnville Downtown Wineries. Contact your concierge for details - Adjacent areas can easily be combined. 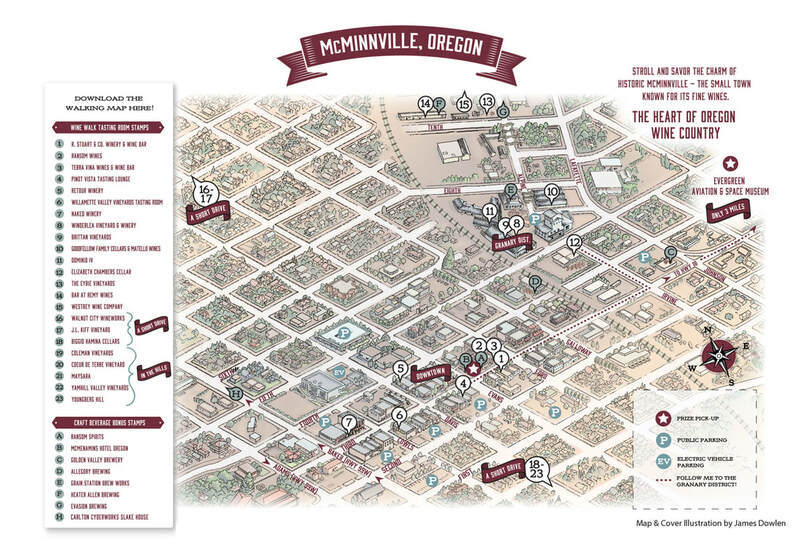 Click map for the 'McMinnville Wine Walk Map'. Some Downtown/Old town McMinnville (tasting rooms and/or winery only) include: Anthony Dell Cellars, Eyrie Vineyards*, Willamette Valley Vineyards, R. Stuart & Co., DOMINIO IV (McMinnville, Biodynamic), Remy Wines (McMinnville), Westrey Wine Company, Twelve, Walnut City Wineworks, Edgefield Winery at Hotel Oregon, Eola Hills, Lumos Wine Co. Surrounding McMinnville Area: Youngberg Hill, Maysara, Yamhill Valley, Amity Vineyards, Coeur de Terre, Brittan Vineyard, The Private Reserve and others.